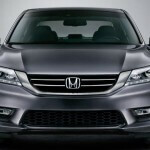 The 2013 Honda Accord is a midsize car that is fully redesigned and it is available in coupe or sedan body styles. 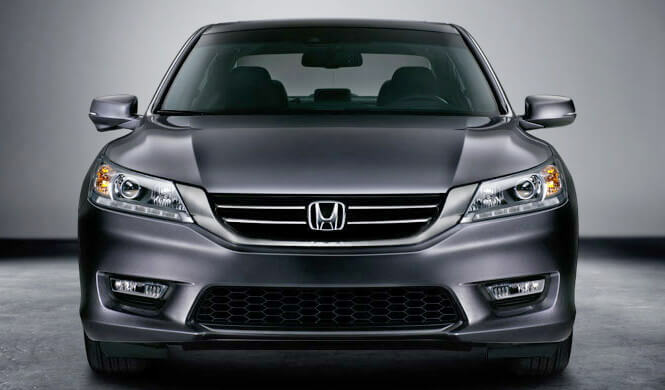 The ninth-generation oh Honda Accord comes with a new interior, a new four-cylinder direct-injection engine, an updated V6 engine, a new continuously variable transmission, and a generous level of standard equipment. The 2013 Honda Accord sedan comes in six trim levels (LX, Sport, EX, EX-L, EX-L with Navi and Touring) while the Honda Accord Coupe comes in four trim levels (LX-S, EX, EX-L and EX-L with Navi). The 2013 Honda Accord LX comes standard with 16-inch alloy wheels, cruise control, full power accesories, dual-zone automatic climate control, a tilt-and-telescoping steering wheel, a rearview camera, Bluetooth, an 8-inch video dispaly and a four-speaker sound system with a CD player and iPod/USB audio interface. The new Sport trim of 2013 Honda Accord brings 18-inch wheels, a leather-wrapped steering wheel with shift paddles for the CVT, a rear spoiler and an eight-way power driver seat. 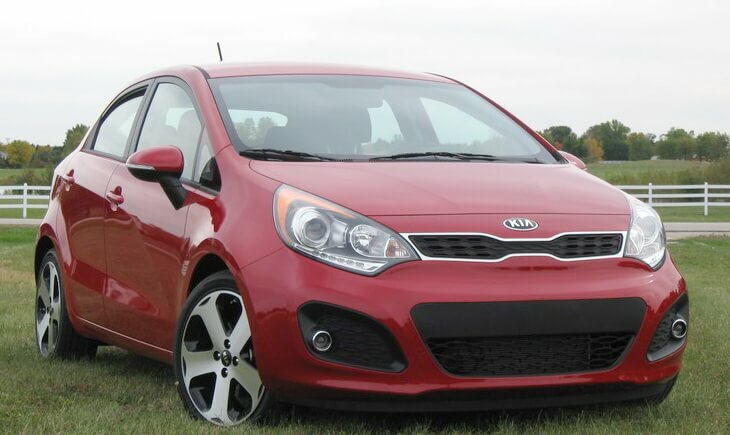 The 2013 Kia Rio is a subcompact car that provides a great option for the drivers in the market for this class. The 2013 Kia Rio is available in either a four-door sedan or five-door hatchback model (named Rio 5). With an extremely affordable price, an atractive styling and a well-designed interior, the 2013 Kia Rio is a perfect car for anyone seeking a daily comfortable ride and a healthy amount of cargo space. 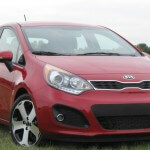 The 2013 Kia Rio competes with Hyundai Accent, Ford Fiesta, Chevrolet Sonic, Toyota Yaris and Honda Fit. The 2013 Kia Rio (starting at $ 13,600 MSRP) and Rio5 (MSRP from $ 13,800) are available in LX, EX and SX trim levels. The base LX comes standard with 15-inch steel wheels, air-conditioning, heated power mirrors, a tilt-only steering wheel, a trip computer, a 60/40 split-folding rear seat and a four-speaker sound system with a CD player and iPod/USB interface. The Power package adds to 2013 Kia Rio LX power windows, keyless entry, and power locks. The EX adds cruise control, upgraded cloth upholstery, a tilt-and-telescoping steering wheel, a six-speaker audio system and Bluetooth phone connectivity. The Convenience package adds 15-inch alloy wheels, foglamps, automatic headlights, a leather-wrapped steering wheel, power-folding mirrors, a rearview camera and a small touchscreen interface. The Eco package includes automatic stop/start system. 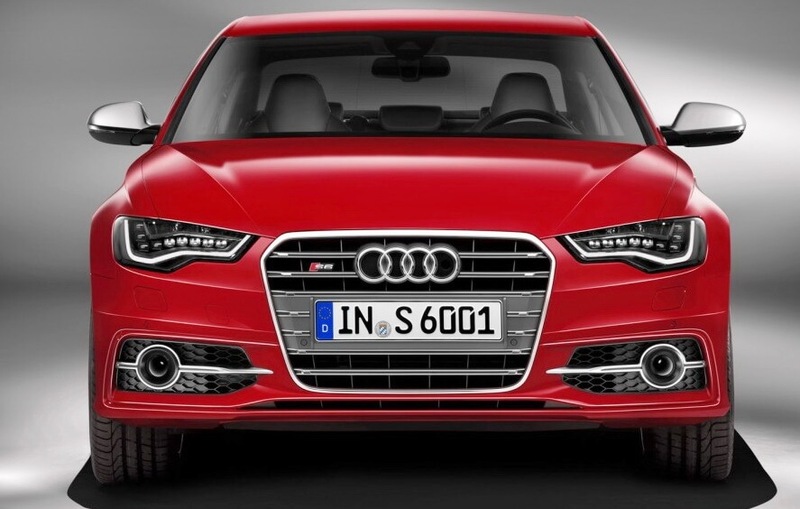 The all-new 2013 Audi S6 is the sport-refined version of the new Audi A6 and comes with a more powerful and fuel-efficient engine, air suspension, upgraded brakes, high-performance tires and an interior that is characterized by sporty elegance. The rivals of new Audi S6 are BMW 5 Series, Jaguar XF, Mercedes-Benz E-Class and Infiniti M56. The 2013 Audi S6 is a midsize sport sedan that is offered in one well-equipped Prestige trim level. Standard features of the new 2013 Audi S6 include 19-inch wheels, adaptive air suspension, adaptive xenon headlights, keyless ignition, keyless entry, power sunroof, park assist, rearview camera, heated auto-dimming sideview mirrors, Audi Drive Select, leather upholstery, power heated front sport seats, driver memory setting, four-zone automatic climate control, power tilt-and-telescoping steering wheel, a navigation system and a Bose audio system with CD/DVD player and USB/iPod interface. 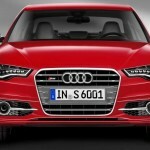 The 2013 Audi S6 comes with a number of packages. The Innovation package includes adaptive cruise control, night vision assist, power-folding sideview mirrors, a head-up display and lane departure warning. The Driver Assistance package includes side blind-zone warning and Pre-Sense Plus, which alerts the driver if a potential collision is detected. The Comfort Seating package features passenger memory settings and front seats with ventilation and massaging function.